With heart disease on the rise, many Americans are looking for ways to lower their cholesterol without taking medication. One product on the market advertising the ability to lower cholesterol is a yogurt-based drink. These products contain plant sterols, touted for their use in lowering cholesterol. Cholesterol is necessary for the body to function, but too much can wreak havoc. Cholesterol comes from two places: our bodies and our food, specifically from animal products. There are also two types of cholesterol: LDL and HDL. HDL is considered “good cholesterol” and LDL is considered “bad cholesterol.” When LDL levels get too high or HDL levels get too low, cholesterol clogs the arteries leading to heart disease. Yogurt is the outcome of bacterial fermentation of milk products. Yogurt is commonly found in most major super markets in a variety of forms. 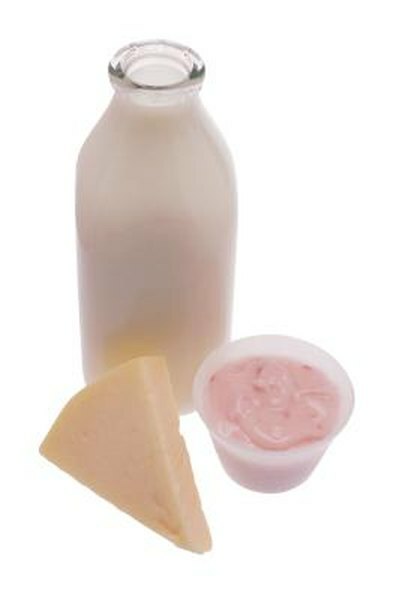 Some companies have marketed a yogurt-based drink with added plant sterols as a method of lowering cholesterol. These beverages generally contain high amounts of sugar — sugar alcohols that can cause GI distress — and because they are a dairy-based product, they also contain cholesterol. Promise Activ Super Shots is one example of a yogurt drink with added plant sterols, but was taken off the market in 2009 for unknown reasons. Plant sterols are a group of phytochemicals found naturally occurring in plants. Research has been done showing the promising effects of plant sterols in the reduction of cholesterol. Margarine, butter, yogurt and some cereals have plant sterols added to them. The American Heart Association only recommends the use of foods containing plant sterols in high risk people who are trying to decrease their overall cholesterol and lower their LDL cholesterol due to a heart attack. The three main contributions to bad cholesterol levels are diet, exercise, and tobacco smoke. To decrease your risk for high cholesterol it is important to get regular physical activity, eat healthy and avoid tobacco. Cholesterol comes from animal products, so decreasing your intake of meat, butter, eggs and dairy can help lower cholesterol levels. It is also important to increase the consumption of whole grains, fruits and vegetables. Always consult a physician before beginning any diet or exercise program. Your doctor can do a blood test to determine your cholesterol level and discuss which products are best for maintaining a healthy cholesterol level.